I mentioned I needed a new phone. You guys had some great suggestions, with some lobbying hard for iPhone and others making a great case for Android. One guy, my bud BlackBerry Ry, even tried to get me to remain in the BlackBerry game. I ended up getting a Samsung Galaxy Android phone. I absolutely love it. I use it so differently than I used my old BlackBerry. I use my Android phone like a tablet, with fantastic apps that make it so much more than a phone. And no, I don't miss BBM or a tactile keyboard. I love this thing the way you're supposed to love your smart phone. It's a beautiful thing. 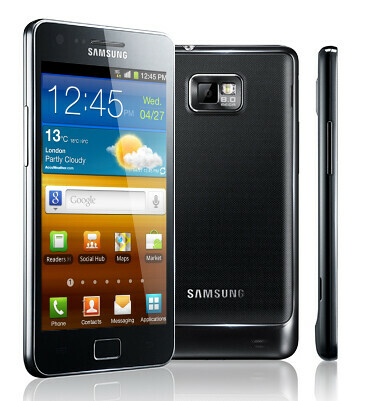 I have the original Samsung Galaxy S and I LOVE IT! I'm sticking with Android from now on, and look forward to getting the S II when the time comes. I'm glad you listened to Kic! You will love android. It's so customizable. Or, as is, it's everything you need. You'll use your digital camera less, iPod less, and will have no need for a stand alone GPS. Not sure if the galaxy has swype keyboard, but I would highly recommend it. Have fun. Great choice, Mike. I have an HTC Incredible S. I love it! I've had the SGS, and just upgraded to the SGS2. AWESOME phone, and Android is so intuitive it is insane. If your phone doesn't have the swipe keyboard you can easily just download it from the market. I'll never go back to a traditional keyboard after using Swype. Great choice! I have the SGS and can't wait to get the SGS2 as well. I love Android's seemless integration with all things Google and since I'm a big Google user, Android is the perfect match for me. I think you'll find the same for you. I can't believe a techy guy like you got a Samsung. I didn't find Android that intuitive to begin with, but I am getting used to it. After years of being able to touch type, any flat panel "keyboard" is frustrating, because I have to look at the "keys" to type - slowly. I bought Otter Box skins for my Android phone and my son's BB. Pretty much everyone that I asked said "get an Otter Box". There are two to four models for just about every smartphone, ranging from basic protection to, well, one is called "Defender", so you get the idea. Otter Box gives you a protective skin for the display, too. Just make sure you put that on before the display gets scratched.